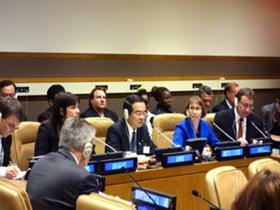 Minister of the Environment, Mr. Mochizuki, attended the side event of UN General Assembly, "Minamata Convention on Mercury: Towards its early entry into force and effective implementation." 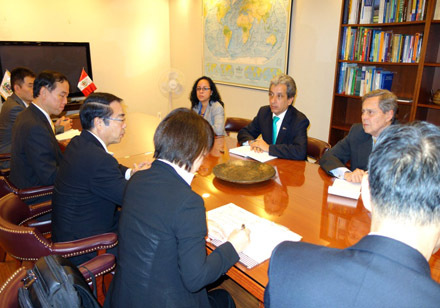 Minister expressed that, as presidency of the Diplomatic Conference, Japan will promote world-leading implementation measures of the Convention and support developing countries with Japan's advanced technologies. 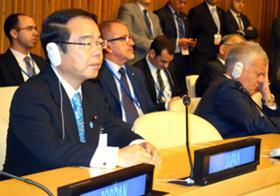 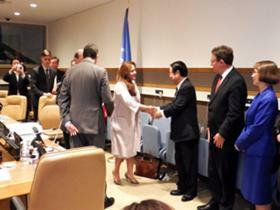 Minister Mochizuki congratulates the representatives of signatory countries. 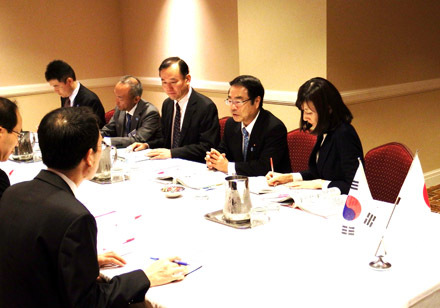 Minister of the environment, Mr. Mochizuki attended the UN Climate Summit and also held bilateral meetings with ministers to exchange views toward construction of the new international framework on climate change. 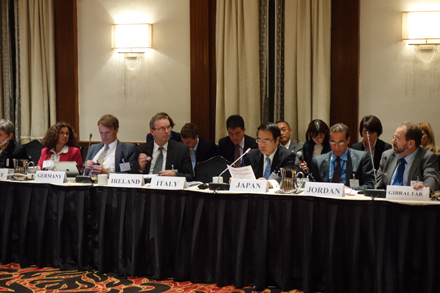 Minister of the Environment, Mr. Yoshio Mochizuki, attended the Twentieth Major Economies Forum (MEF) on Energy and Climate, and the Fifth High-Level Assembly of the Climate and Clean Air Coalition to Reduce Short-Lived Climate Pollutants (CCAC). Minister Mochizuki makes a proposal for the construction of the new international framework on the climate change in the MEF. 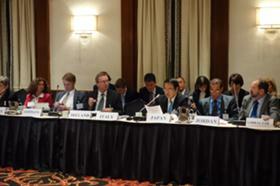 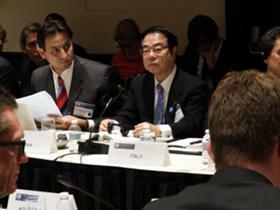 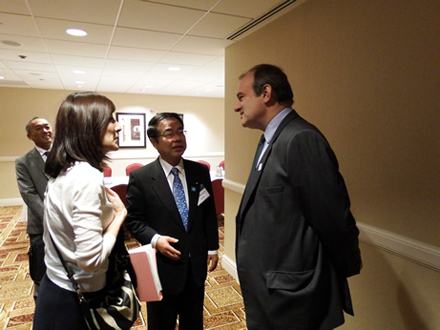 Minister Mochizuki transmits Japan's efforts at the CCAC High-Level Assembly .